There aren’t a lot of people, relatively speaking, in Australia’s Northern Territory. But those who live there look forward to the first Monday in August when they celebrate the territory’s Picnic Day. 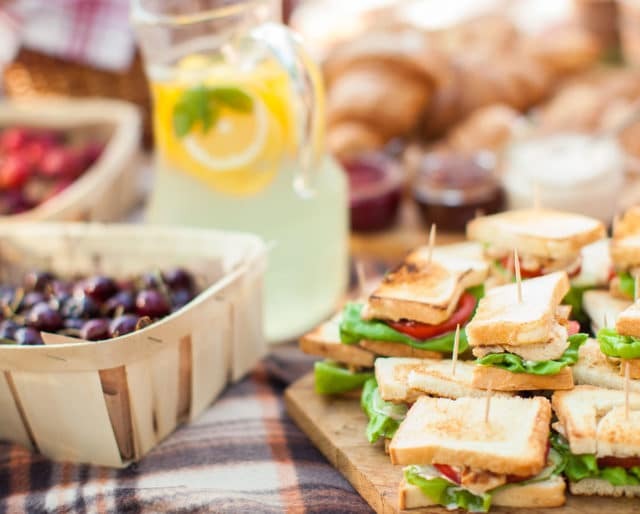 Northern Territory Aussies — not to mention folks from the other parts of the continent — have been celebrating Picnic Day since at least the late 1800s, although the date of the first picnic is unknown. Railroad workers and public works employees started the tradition when they held an annual “Union Picnic Day” or “Trade Picnic Day” by the Adelaide River. And after a few lean, picnic-free years, the tradition was restarted in earnest in the 1930s and continues to this day. The tradition that continues to this day began in 1946 when the three Webb brothers joined in a race to see who had the swiftest horse. According to news reports at the time, "practically the whole town went to the Adelaide River by a special train." That town was Darwin, Northern Territory, Australia. Picnic Day events stretch back in time to the 1800s when Northern Territory rail workers took some time off to eat and hang out near the Adelaide River. There's plenty of history surrounding Picnic Day. Although the dates are unknown, it's generally accepted that the holiday owes at least some of its origins to railway workers who picnicked by the Adelaide River. Get that barbecue grill warmed up and ready to go. One of the best parts of Picnic Day is, well, the picnic. Get your plate ready and dig in! If you know a better place and time to serve up some authentic Outback barbecue, then we're all ears. Be a part of tradition and head to the Railway Heritage Picnic, where you can get some grub and play leisurely games along the Adelaide River. You'll be adding your experience to the vast history of the continent as Northern Territory Aussies celebrate the holiday. The Northern Territory (also known as the NT, if you're hip) is famous for its rugged and awe-inspiring landscapes. Just a few of the highlights: the Uluru, or Ayers Rock; the pod-like domes of Kata Tjuta; and the cliffs and canyons of Watarrka National Park. The Harts Range Bush Sports Weekend — or the Harts Range Races — features horse racing, a rodeo and more. It's been a Picnic Day — or weekend — tradition since the 1940s. There are a lot of ways to enjoy the long weekend in the NT. Picnic Day means you can set up a campfire or dig into a truly authentic Outback barbecue. There are also rodeo, dances and opportunities to see Aboriginal art.